PERFECT FAMILY HOME IN A GREAT LOCATION! Well maintained 1340sq.ft. 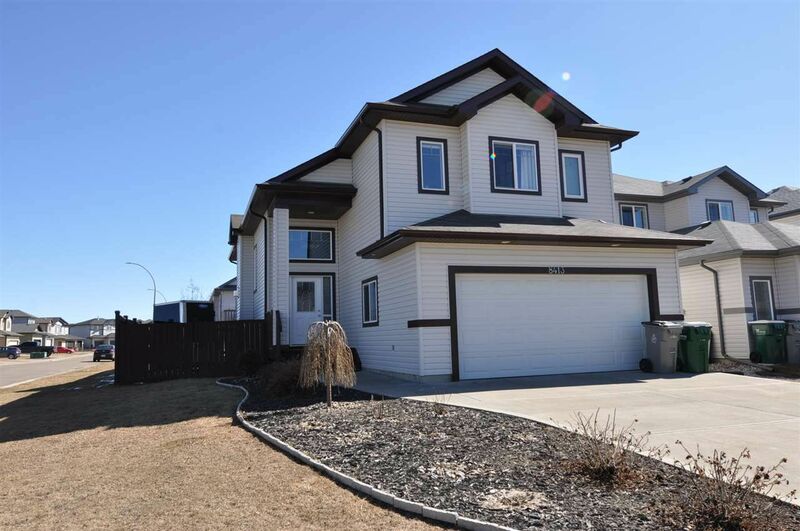 Bi-level located in the desirable South Glens subdivision in Morinville. Warm & inviting is what you will feel when you step into this 3-bdrm, 2 bath home. The main floor features stunning vaulted ceilings, welcoming foyer w/ceramic tile, loads of windows for an abundance of natural light, dark hardwood flooring in the living room featuring a beautiful tile surround gas fireplace w/built in niche above, large eat in kitchen w/plenty of dark espresso cabinets, stylish glass tile backsplash, pantry & a family sized dining area. Situated on the upper level is the private master bdrm enhanced by a walk-in closet, loads of space for a king size bed plus a full 4pc master bath. The two JR bdrms are a great size too. The basement is excellently laid out w/a fantastic family room for entertaining & is roughed in for the future development of a bathroom. Outside you’ll find a fenced yard w/good sized deck to enjoy. Only 15 mins from CFB Edmonton.